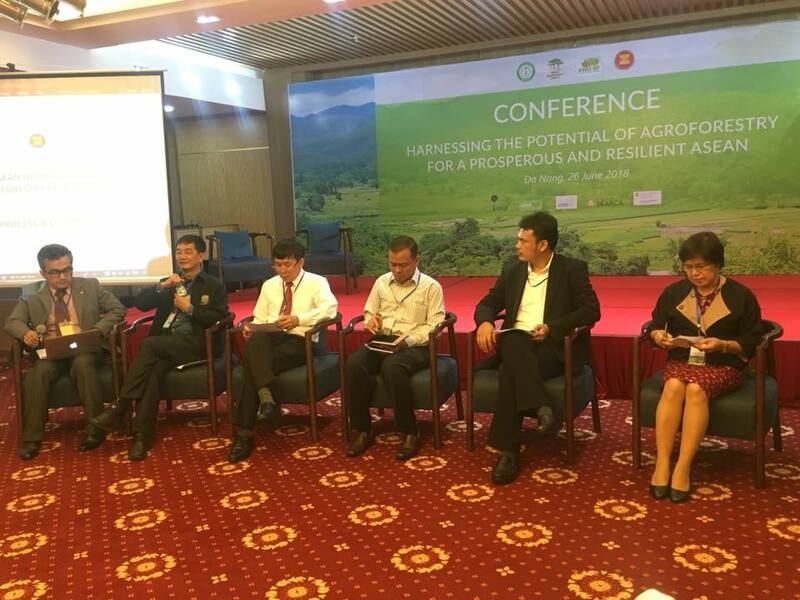 The 7th Annual Meeting of the CSO Forum on Social Forestry in ASEAN with the theme “Sustaining Collaborative and Innovative People-Centered Actions” was held on 24-25 June 2018 in Serene Hotel, Da Nang, Vietnam. It is organised by the Non-Timber Forest Products – Exchange Programme Asia and the People and Nature Reconciliation (PanNature), in partnership with the CSO Forum on Social Forestry Country and Thematic Working Groups, Centre for Sustainable Development in the Mountainous Areas (CSDM), FORLAND, the Asia Indigenous People Pact (AIPP) with support from the Swiss Development Cooperation (SDC) through the ASFCC Programme, McKnight Foundation, and additional support from MRLG, V4MF Programme of RECOFTC, and NORAD. The forum has over 80 actively engaged participants coming from 40 different institutions/organisations in 8 ASEAN countries. 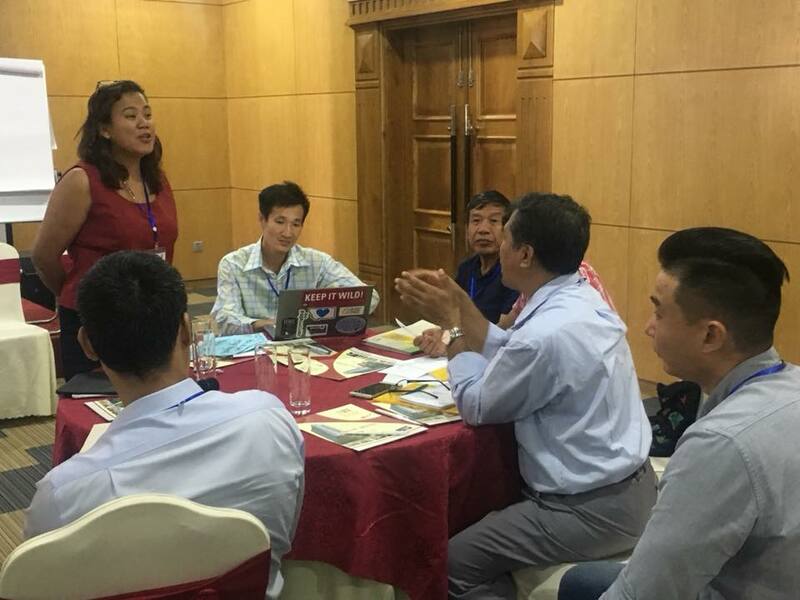 From Cambodia side, there are 13 people (1 female) representing 7 institutions namely: NTFP-EP, WCS, STAR Kampuchea, Danmission, the NGO Forum on Cambodia, PLCN, and CDRI. The overall objective of the Forum was to discuss, distill, consolidate, and elevate messages and learning of CSOs, IPOs, POs, and smallholders on Social Forestry and climate change, analyse and review and assess the status of social/community forestry in the different countries, and evaluate the progress of the CSO Forum and the AWGSF vis-à-vis targets and plans, and affirmed recommendations. The forum was divided into 2 days. Day 1 focus on country and thematic updates, CSO Forum report card, capacity building sessions and developing the CSO Forum key statement. Right after the registration finished, the forum starts with a warmly welcome to all CSO forum participants from CSO Forum Facilitator, follow by Opening Remarks of Dr Le Cong Luong, Deputy Secretary – General Vietnam Union of Science and Technology Associations (VUSTA) and Mr Trinh Le Nguyen, Director of Pan Nature. Day 2 was a thematic dialogue-seminar. The morning session covered Community Economy and Livelihoods; and Governance Mechanisms while the afternoon session covered Safeguards; and Forest Tenure and Access Rights. Finally, the CSO Forum agrees to continue to do more, discuss more, and work together in with governments and key stakeholders in keeping the productive interface to advance social forestry in order to contribute to the achievement of national climate change and sustainable development goals.